I love coffee. Love it. In fact I'm famed amongst friends and family for being unable to walk past a coffee shop and heaven forbid anyone, apart from the children, speaks to me before I get my morning cup. One of my favourite ways to consume coffee is in a dessert - the perfect way to combine two of my favourite things! 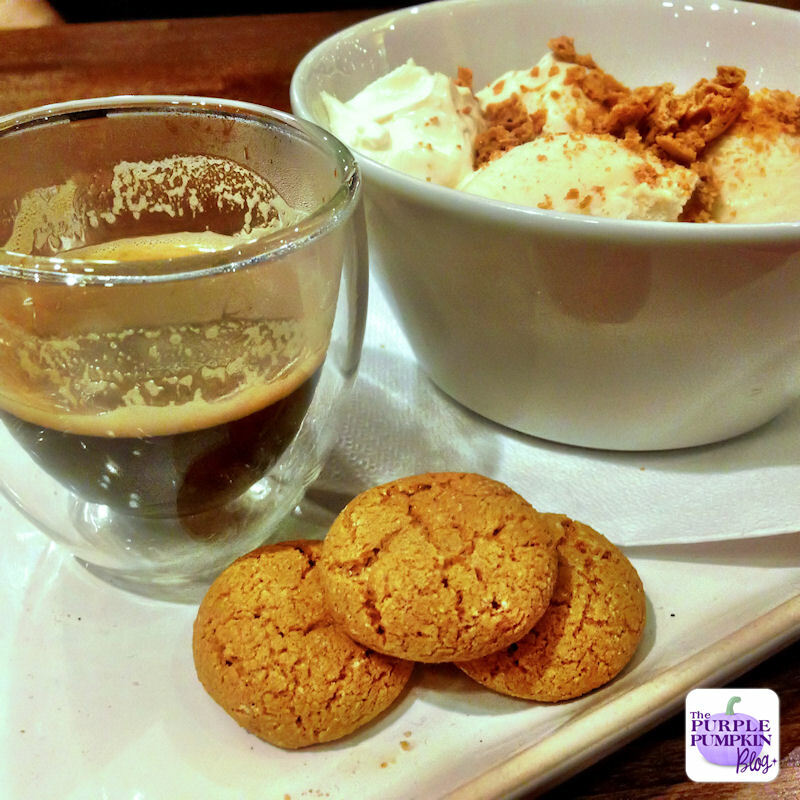 I'm quite a purist with my coffee, I love Espresso and my favourite coffee dessert keeps it super simple - Affogato. A scoop of gelato or ice cream, Vanilla is best but you I'm sure other flavours could work very well too. Scoop gelato into a small bowl. How simple is that? Now, of course there are a million variations on this. Michelle over at the Purple Pumpkin Blog uses amaretti biscuits and amaretti or hazelnut liquer with hers. How amazing does this look? Until recently I've always ordered Affogato in restaurants but never really made it at home, mainly because I struggle to get the right strength of coffee using my French Press. It has to be thick and strong, not so much a cup of filter coffee. Now I have a pod machine it means that I can use a capsule like the Espresso from the Nespresso compatible range from Caffe Cagliari. This Italian family run company has over 100 years of experience of coffee knowledge and tradition and their Espresso has been certified by INEI, the body which promotes Italian Espresso. I think you are probably guaranteed a restaurant quality Affogato using one of those capsules, now if only I could find really good take-home gelato locally. I'm definitely going to be making Affogato more regularly now. Do you enjoy coffee in desserts? What is your favourite?